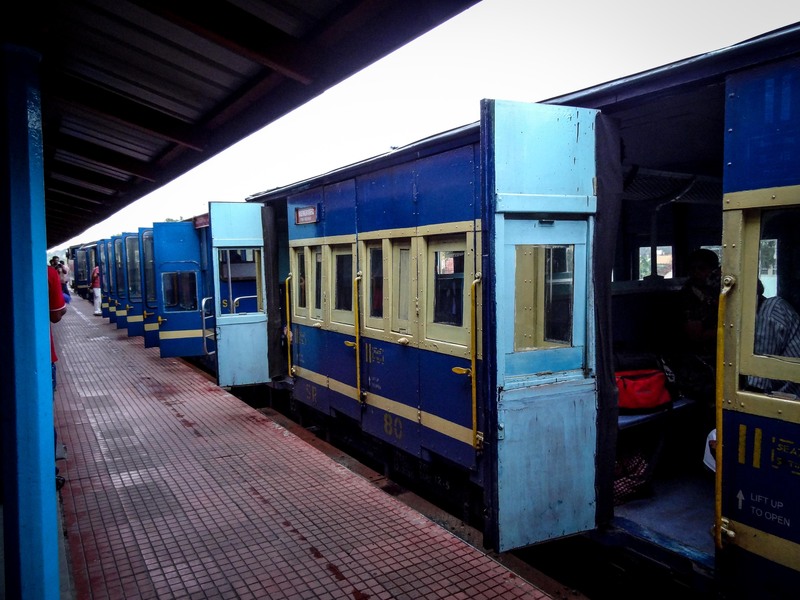 The 1st Class coach was the oldest in the three-car set but was placed at the head of the train. The Inspector must have taken pity on me, or smelled a railfan, and assigned me the seat in the very front. I really did have the best view. You can see the layout of the coach with the gauges for the vacuum brakes and the lights and the brake handles. 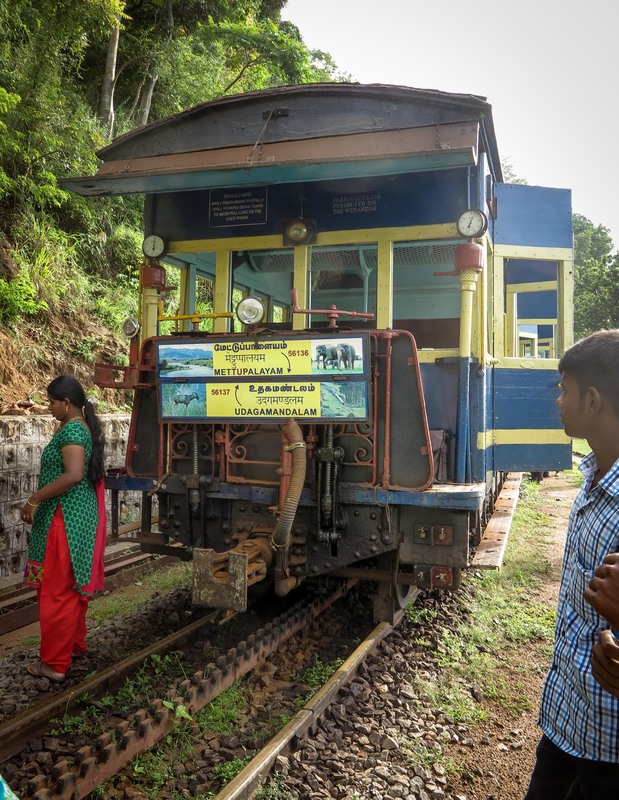 On the signs you will notice the train designations and the names Mettupalayam and Udagamandalam. The first is in the valley and the other is the official name for Ooty. The view above is only from about three thousand feet but already all of us were cold. The surroundings were impenetrable jungle. Later some light rain settled in. 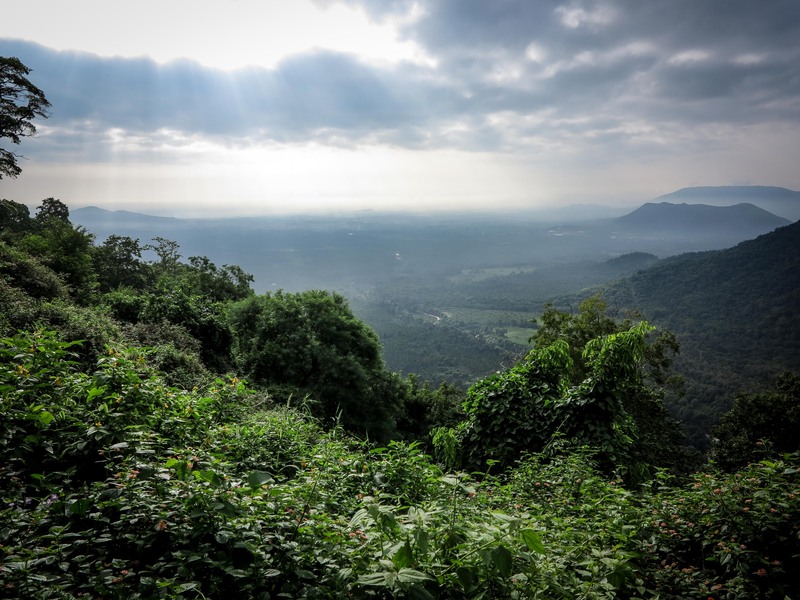 The scenery is varied and as you approach Ooty the tea plantations begin to appear. Click on any image to enlarge. The trip is long, about three-and-a-half hours, with steam on the first section and diesel on the last. Finally you reach the unattractive town of Ooty, once a jewel and now frankly a mess. This photo of the station doesn’t reveal what is behind. More on Ooty later. FM – can you guess? 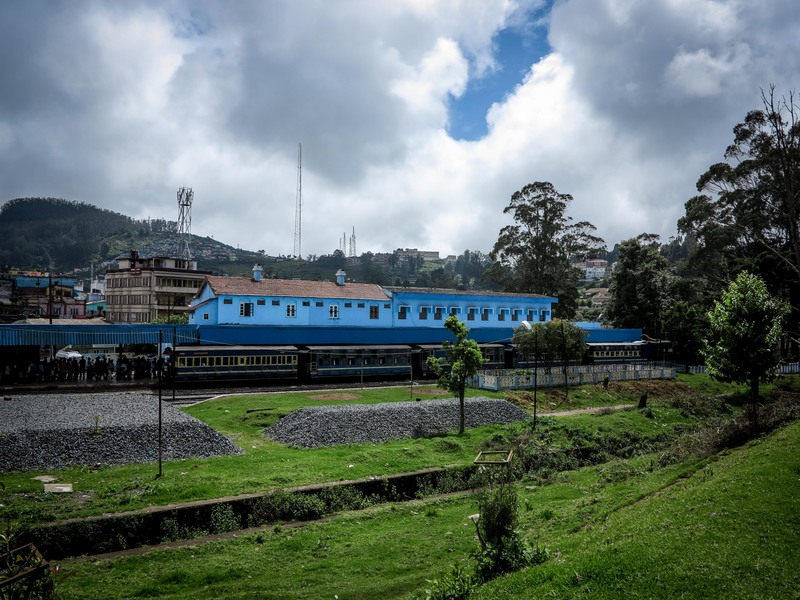 This entry was posted in Color, India, Ooty, Rack railway, Railroad, Railway and tagged Ooty. Bookmark the permalink.